While homes nowadays showcase contemporary aesthetics, half-round gutters still remain a popular choice since their introduction in the early 60’s. At Advantage Seamless Gutters, we know that choosing the best gutters for your property, in terms of appearance and functionality, can be a daunting task. That is why our gutter services are suitable for all types of properties, including our half-round gutter systems. Here’s why they’re a good choice. As the name implies, half-round gutter systems appear like a fully enclosed pipe cut in half, lengthwise. Like the traditional K-style gutter, homeowners can choose from a wide variety of half-round gutter systems available on the market, and can be purchased in sections or installed as seamless gutters by Advantage Seamless Gutters. Today, half-round gutters are available in myriad materials – from aluminum and copper to zinc-coated and galvanized steel. Why Choose Half-Round Gutter Systems? Advantage Seamless Gutters’ half-round gutter systems can give your home an elegant look without compromising quality. For homeowners aiming for a timeless look, these gutter systems are the perfect additions when creating a prestigious exterior. In addition to their aesthetically pleasing appeal, half-round gutter systems require little maintenance, making them practical for homeowners who don’t have much time to clean their gutters on a regular basis. Thanks to their smooth shape, these gutters allow homeowners to easily clean them, as debris will flow more properly, resulting in fewer to no blockages. Poorly installed half-round gutter systems may restrict homeowners from reaping their full benefits. This is why proper gutter installation is important to ensure maximum functionality. 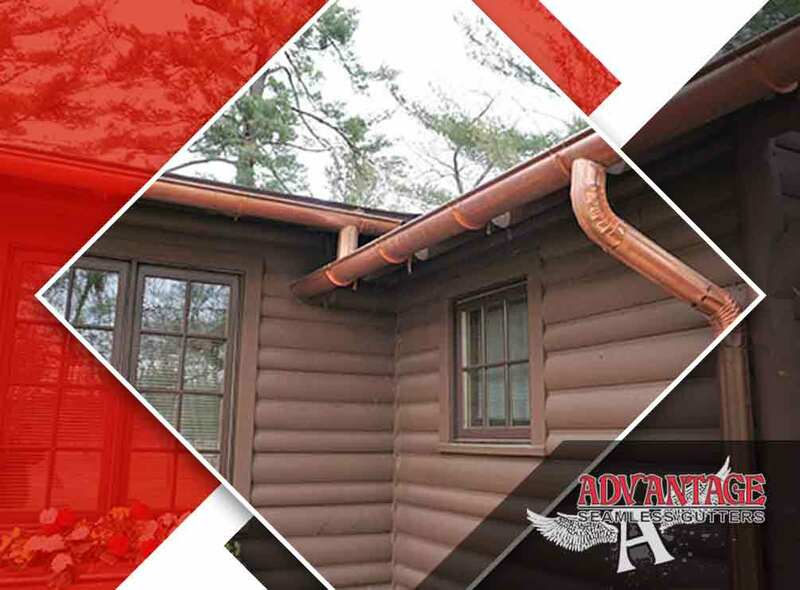 With the help of Advantage Seamless Gutters, homeowners can ensure flawless results, as this has been our area of expertise ever since we started the company. We take pride in our team of expert technicians who can provide service in a timely and professional manner. We are proud to serve the areas of Alexandria and Brainerd, MN. As well as all of greater Minnesota Call us at (218) 212-1818 to learn more about our services.